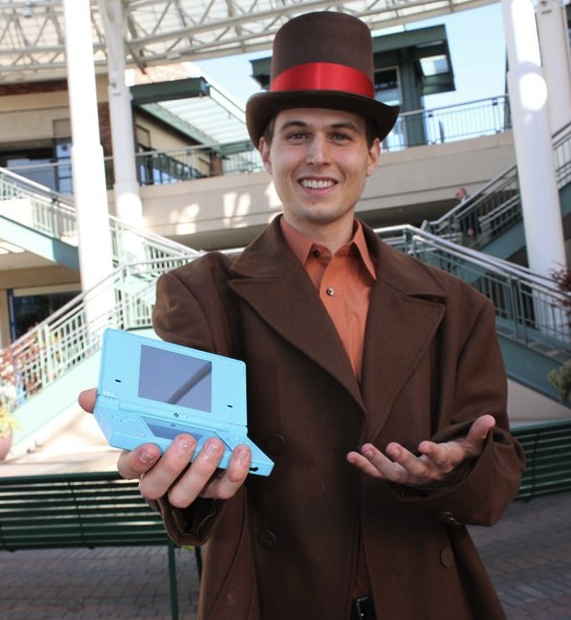 Ever wanted to meet a real-life Professor Layton and have a chat? Well, now you can — so long as you live in America that is. Nintendo are sending out the good old Professor (or at least someone dressed as him) to cities across the country and if you can discover where he is, you'll be asked to solve a puzzle. Solve it correctly and you just might bag yourself a copy of his new game, Professor Layton and Pandora's Box. Nintendo will also have a site up and running giving out hints of where to find the Professor. Good show! Also, if you haven't done so already, check out Nintendo Life's review of Layton's latest. That is totally awesome. I won't be able to participate, but that's really cool. Don't know if something like that could be done in Europe? I hope so Joe, would be pretty darn cool. About time us Americans has a chance to win something. Too bad I don't live near to participate. @Ezekiel what are you talking about, the majority of contests all around the internet, access to beta and so on are exclusively for USA/Canada. Anyways, this sounds cool! He'll be near me on Friday! But is it worth driving to Miami to see him? I figure I have about a 3% chance of actually finding him, and a 0% chance of solving his riddle, so...no. I guess not. @Firkraag theres not much of any contests for Usa than Uk announced on Nintendo life. I know why so don't reply why Uk has more contests. Im exited for us thats all. Anyhow.. awesome! when will Houston get something? Hah, this sounds pretty funny. I wonder if he'll have an annoying boy walking around with him. I'm sure he will just be at one the malls in those cities. As usual, nowhere near me. At least I can be comforted by the fact that they wisely didn't have a real-life Luke. I live fairly close to Seattle, but WHY does it have to be on a school day? I live in Mississippi and no contests have ever been done here, at least none of the bigger ones. Yeah, so much for the puzzles and hunt, the rules give it all away! I want to sit on his lap and say "You're not Professor Layton! THIS HAT COMES RIGHT OFF!"